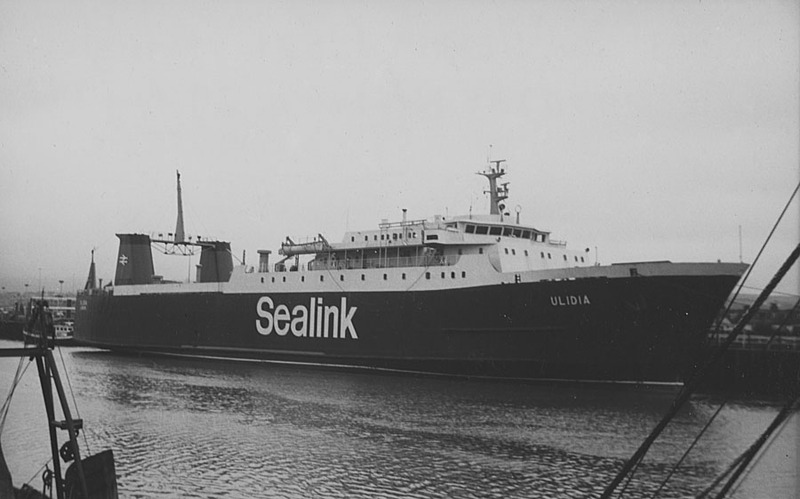 October 1st 1970: Completed and delivered to Stena Ab, Göteborg. October 1st 1970: Chartered to Canadian Ministry of Transport, St John, Canada. 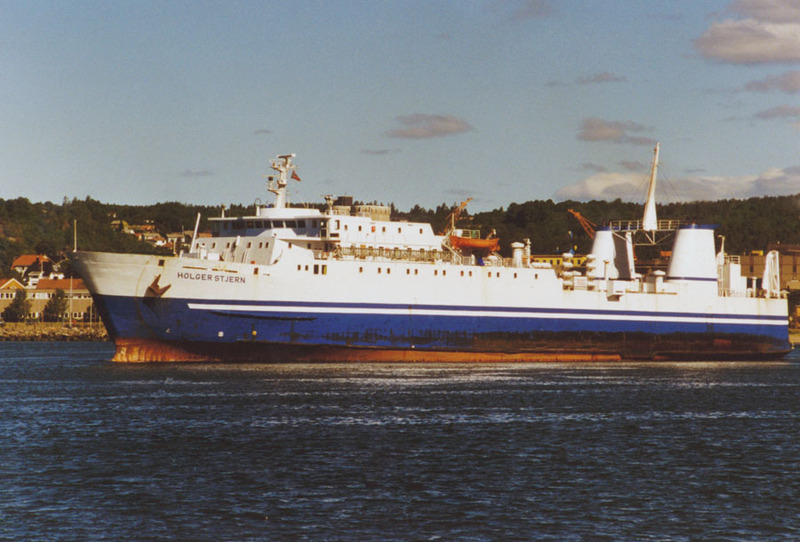 October 1970 – 1972: Commenced service between North Sydney – Port aux Basques. July 1st 1974: Sold to Barclays Export & Finance Ltd, Scotland. (British Transport Ship Management Scotland Ltd.). April 30th 1974: Charter completion date. 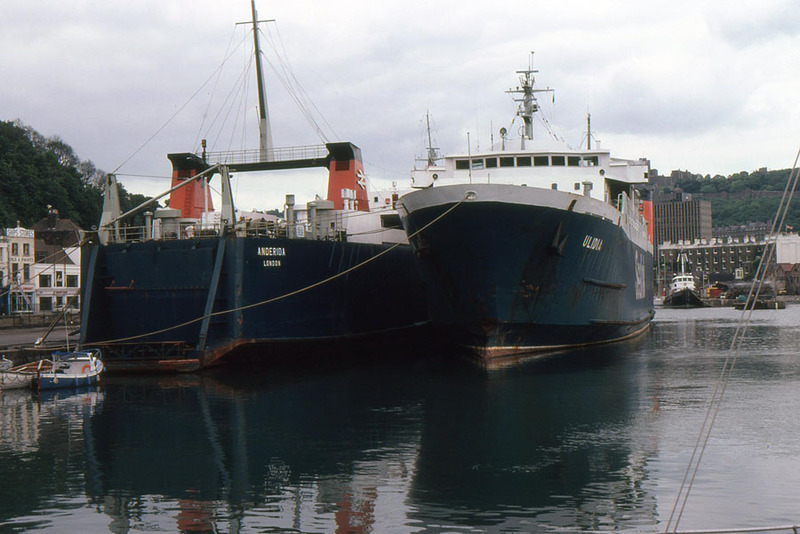 August 11th 1974: Arrived at Smith’s Dock, Middlesbrough for dry-docking. December 11th 1974: Left dry-dock. December 15th 1974: Arrived Stranraer. 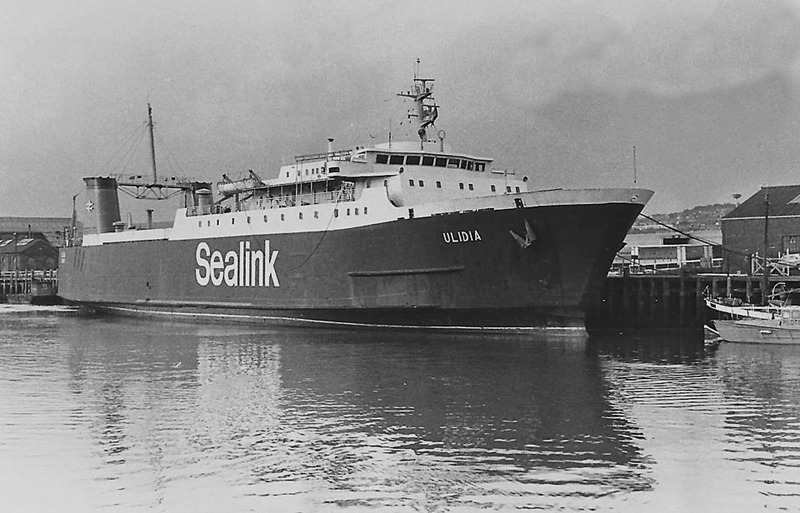 December 16th 1974: Renamed ULIDIA. 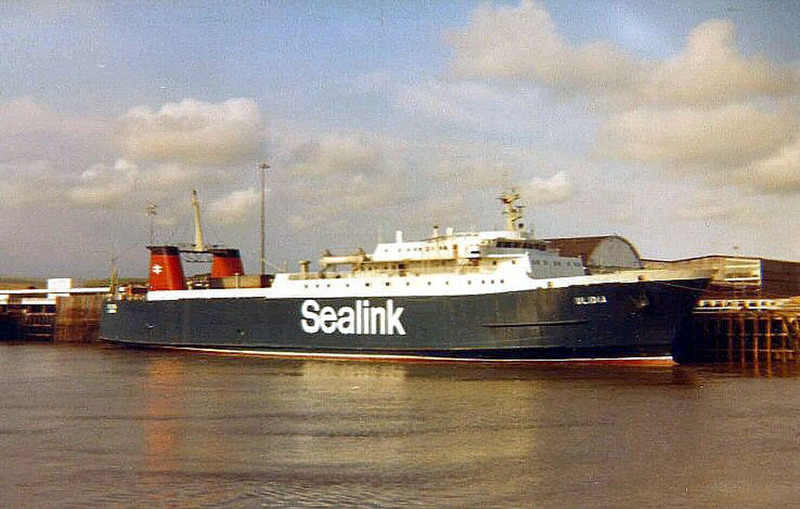 Introduced (20.45 hrs) by Sealink, British Rail on services between Stranraer – Larne. May 1980: Laid up in Newhaven. 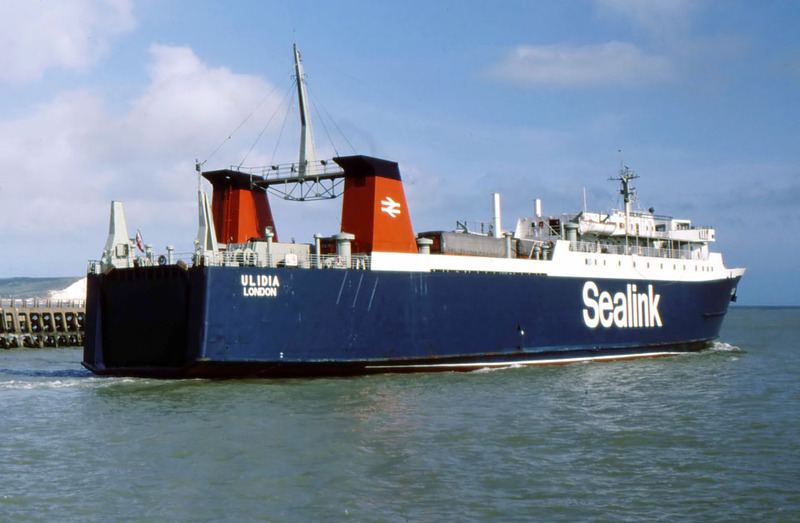 June 1980: Operated services between Newhaven – Dieppe as cover for SENLAC which had suffered a fire in her alternator room on June 13th ,whilst in Dieppe. 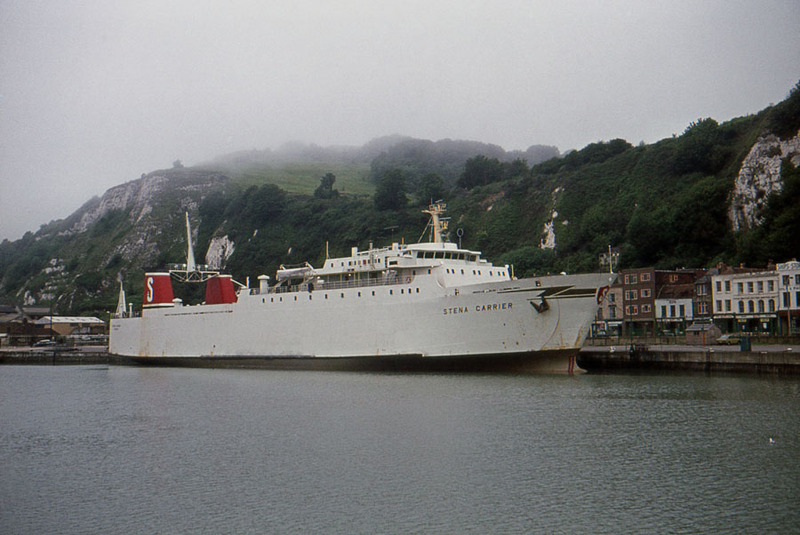 1980: Operated services between Dover – Dunkerque then laid in Newhaven. 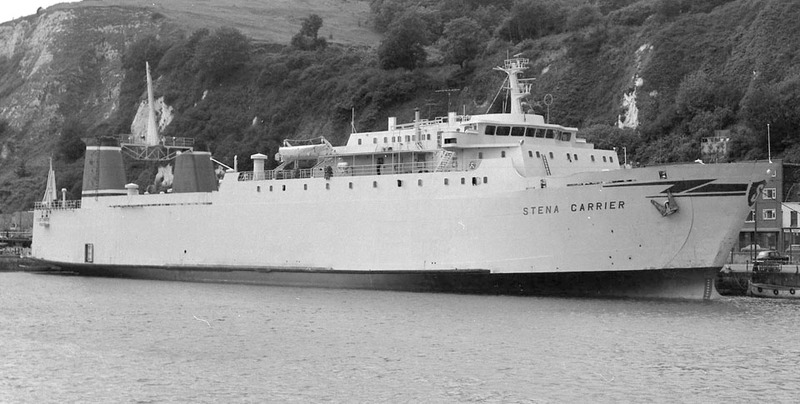 1981: Commenced services between Stranraer – Larne. 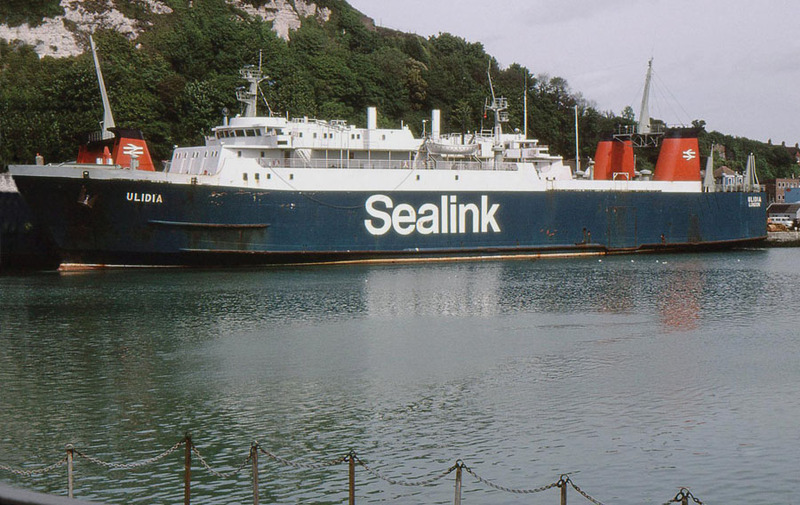 April 9th 1981: Laid up in Wellington Dock, Dover. 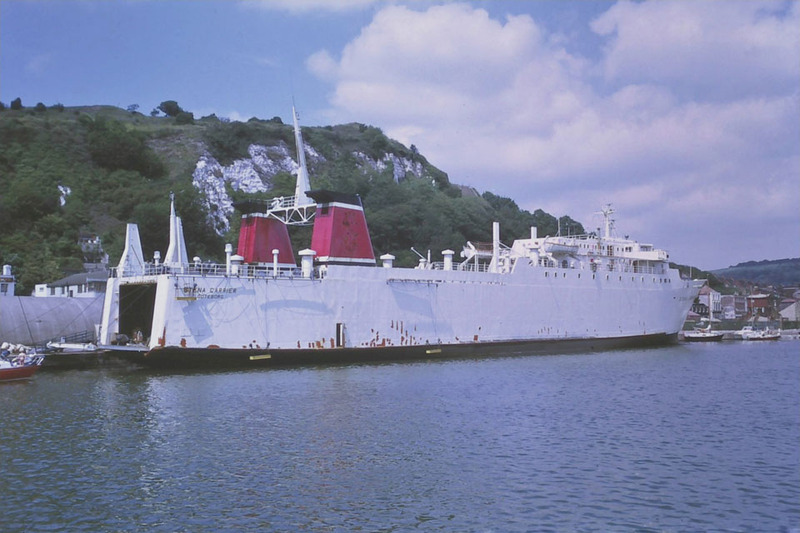 July 8th 1981 – September 12th 1981: Operated as relief at Newhaven. November 2nd 1981: Sold to Corvo Shipping Inc (Manta Line Inc Manager),Piraeus, Greece. Renamed AUTO TRADER. 1985: Sold to International Agency for Shipping & Trading Co, Alexandria, Egypt. 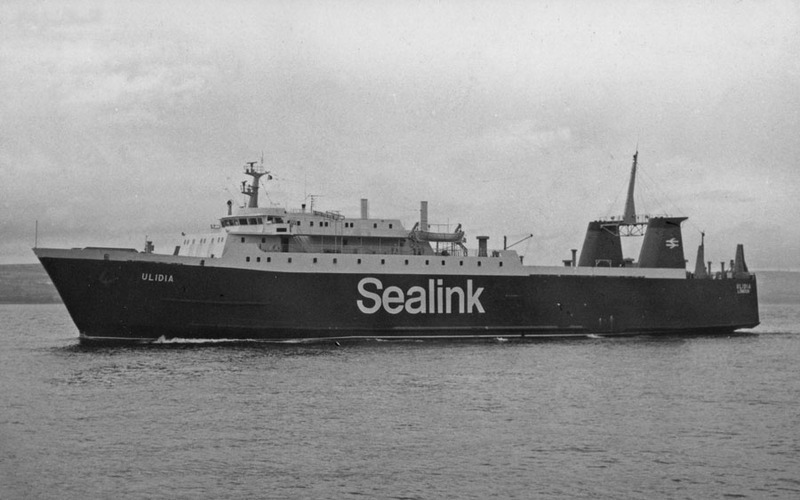 November 20th 1987: Sold to A/S Team Askøy, Bergen, Norway (Rutelag Askøy – Bergen). December 1987: Rebuilt at Kristiansands Mek. Verksted, Kristiansand, Norway. 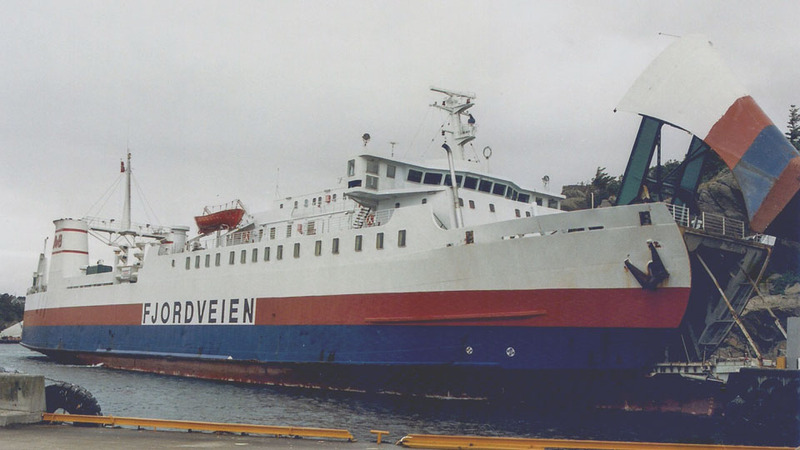 July 1st 1988: Began operations for A/S Rogaland Kystferger between Skudeneshavn – Mekjarvik. November 29th 1992 – December 30th 1993: Laid up. 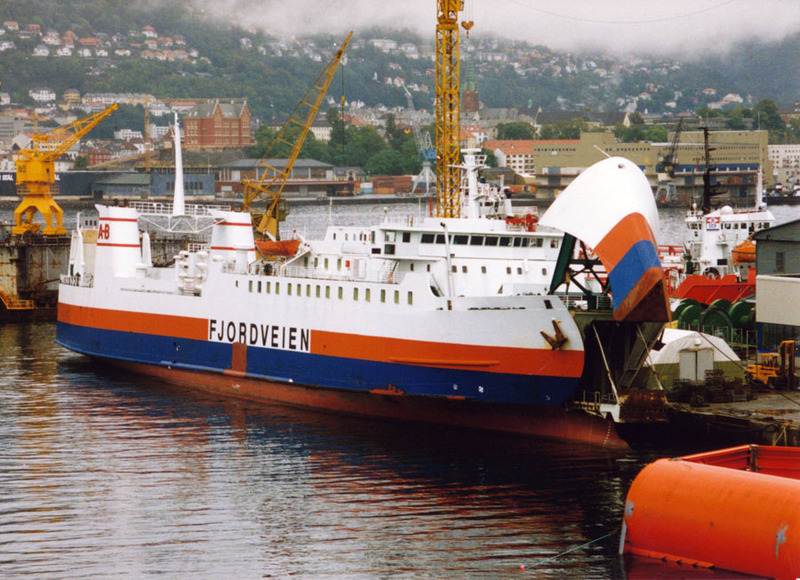 December 31st 1993: Commenced service between Bergen – Stavanger. March 14th 1994: Laid up with engine problems. December 1994: Sold to Rederi Ab Lillgaard, Mariehamn, Finland. Renamed FJÄRDVÄGEN. 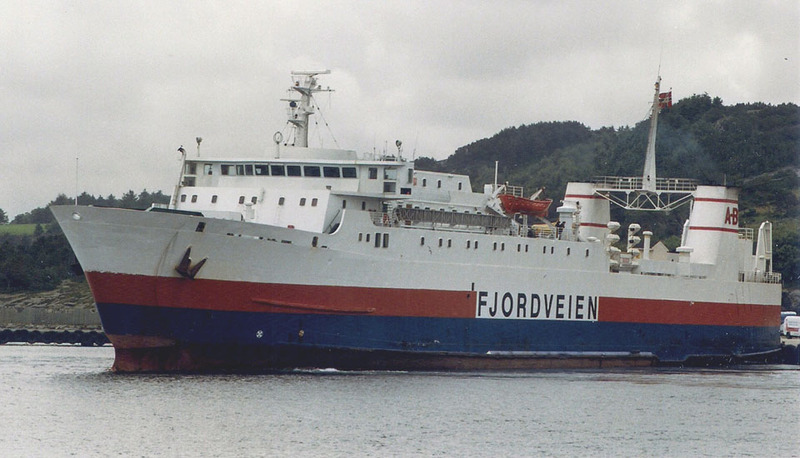 December 1994: Refitted at Laksevågs Verft, A/S, Bergen. December 18th 1994: Left Bergen for Långnäs. December 21st 1994: Arrived at Långnäs. 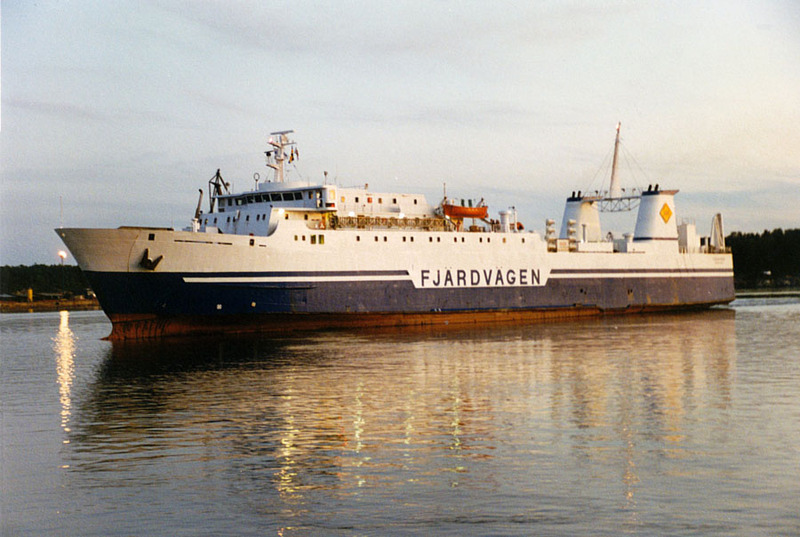 December 1994: Commenced service between Långnäs – Nådendal. 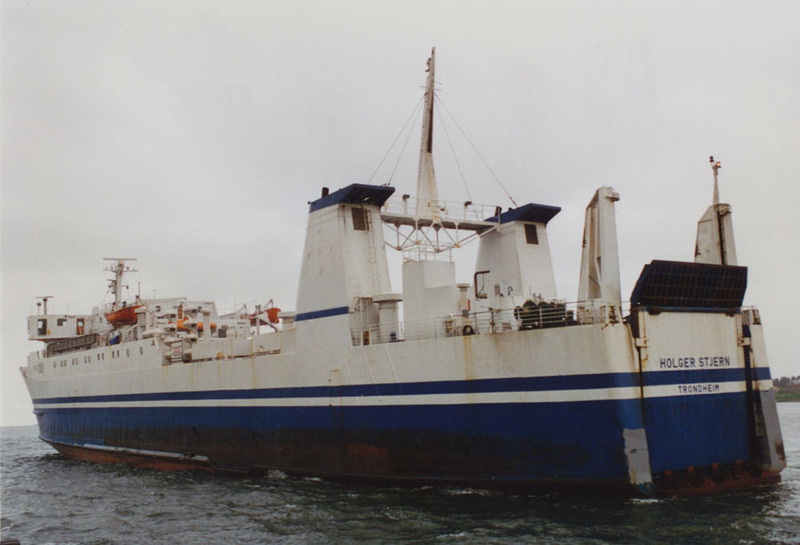 December 1995: Sold to Bastø Fosen AS, Trondheim, Norway and renamed HOLGER STJERN. December 1995: Arrived at Drammen Ship Repairs, Drammen. Rebuilt in readiness for her new services. September 15th 1998: A planned sale to Litorina Line for their service between Västervik – Visby – Ventspils, fell through. June 1999: Sold to Meridiano S.r.L. Genoa, Italy and renamed HOLGER. June 1999: Commenced service between Reggio di Calabria – Messina. 2001: Home port changed to Reggio di Calabria. 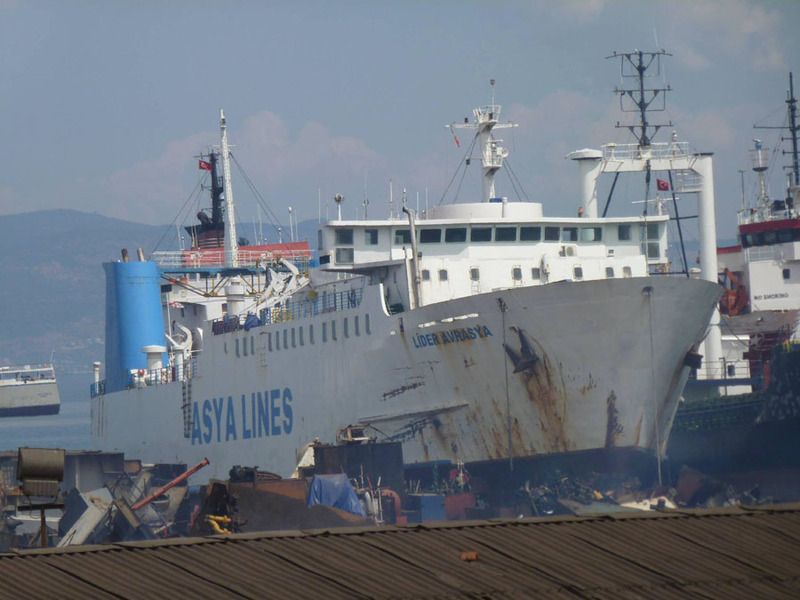 2005: Sold to OrsaSea Tasimacilik ve Ticaret, Istanbul, Turkey and renamed MELTEM G.
2008: In collision with Hong Kong flag SEAPACIS. Repairs to port side bridge-wing at Istanbul Shipyard. April 2009: Sold to unknown Turkish buyers. 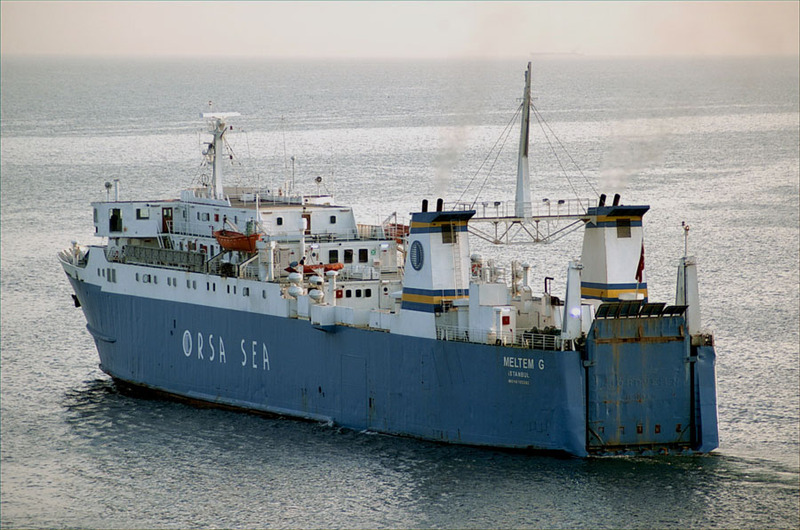 May 2009: Transferred to Georgian registry, home port Batumi. 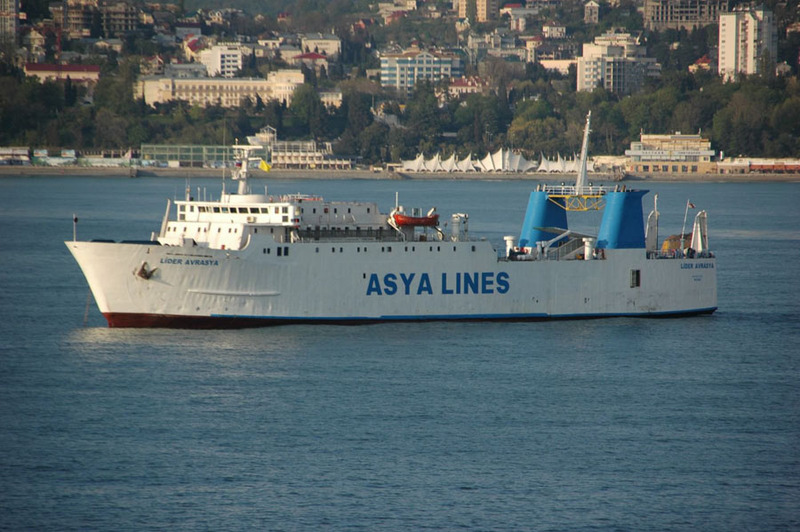 (Management Asya RoRo Turizm Nakliyat). Renamed LIDER AVRASYA. May 2011: Sold to Turkish breakers. We would like to thank: Gerolf Drebes, Andy Gilbert, Ted Ingham, Pieter Inpyn, Dirk Jankowsky, A G Jones, Ken Larwood, Ivan Meshkov, Selim San, Bob Scott, Marko Stampehl, Jürgen Stein, Michael Woodland and Andreas Wörteler for their assistance in producing this feature. All information is believed to be correct and no responsibility is accepted for errors and omissions. A special thanks goes to Jim Ashby. 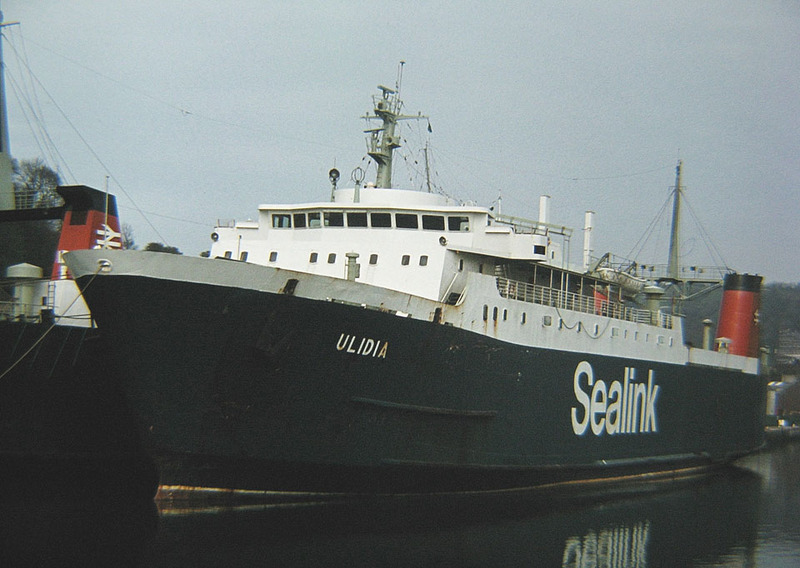 Sailed on this ship every week for 5 years between Stranraer and Larne as the Ulidia. It was the worst ship in the world. Unstable, uncomfortable and un seaworthy. Nearly tipped over in a force 8 one night. 2 hour crossing took 17 hours. Glad it’s now scrap. Horrible ship. Must have rivalled the Darnia for stability then! The Darnia was luxury compared to Ulidia. But like you say. Even that wasn’t good and had a tendency to tip yer steak onto the floor .